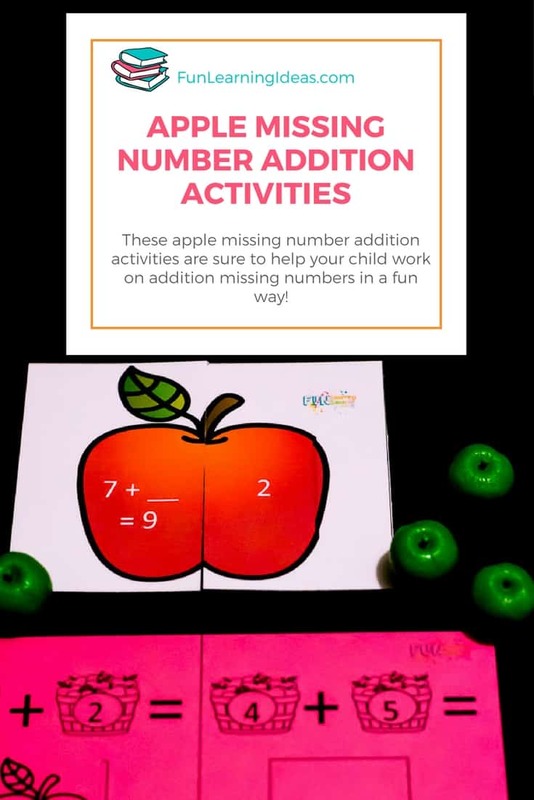 This apple missing number addition activity was a fun reinforcement for Jael! She was able to work on her addition skills in a hands-on way all while being exposed to fractions. Keep reading to see what I mean. We are currently using Math U See and when chapter 8 hit for solving equations I got a little worried. Will my little one be able to handle it? How do I help her get through this and realize that this task requires subtraction skills even if that pesky (+) was there? 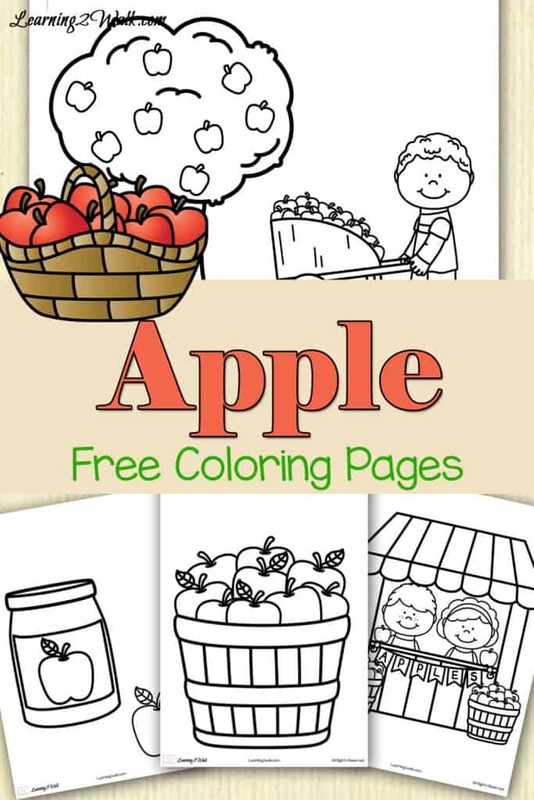 I went into default mode and thought of making a bunch of worksheets that involved apples that I could create in a few minutes. Instead, I opted to do a more hands-on approach that allowed her to use glue! I have no idea why my kids love to glue as much as they do- but it works! 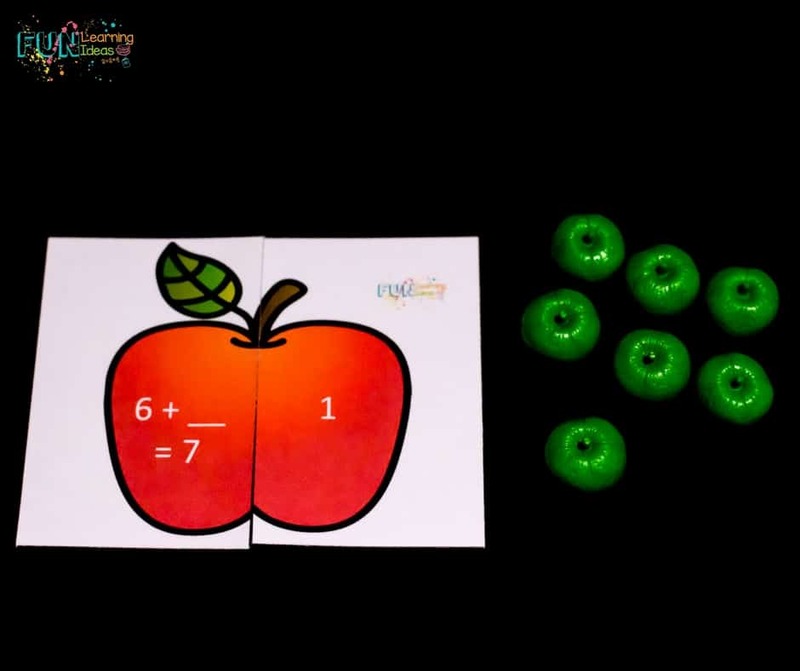 In order to teach your kids to solve for the missing number in the equation, you will need a few things besides the apple pack at the end of the post. Once I printed, laminated and cut the puzzles, I placed them in front of Jael. I also removed all the apple counters from our fruit counters set and placed them in a basket for her to use. The next step was to remove all the apple counters from our fruit counters set and placed them in a basket for her to use. The aim of this activity was for her to match the apple half equations with their correct answer. If you want to make these apple puzzles self-correcting, simply stick a sticky note with the complete equation on the back of the correct apple half. I am sure there are other elaborate ways to do this but this was our simple solution and it worked. 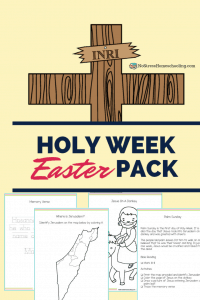 Quick background story: Jael recently saw that her brother’s kindergarten Math activity involved him gluing his answers. Naturally, she wanted to do the same and so I create these for her. First, print the sheets and then either cut the answers from the side off or have your student do that if they are able to do so safely. 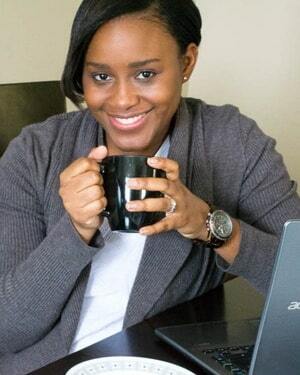 Second, demonstrate the activity. Read an equation and then look for the apple with the correct answer. Place it (or glue it if your kids allow you to touch the precious glue stick) in the answer box. Third, let them complete the rest of the missing number addition sheets. 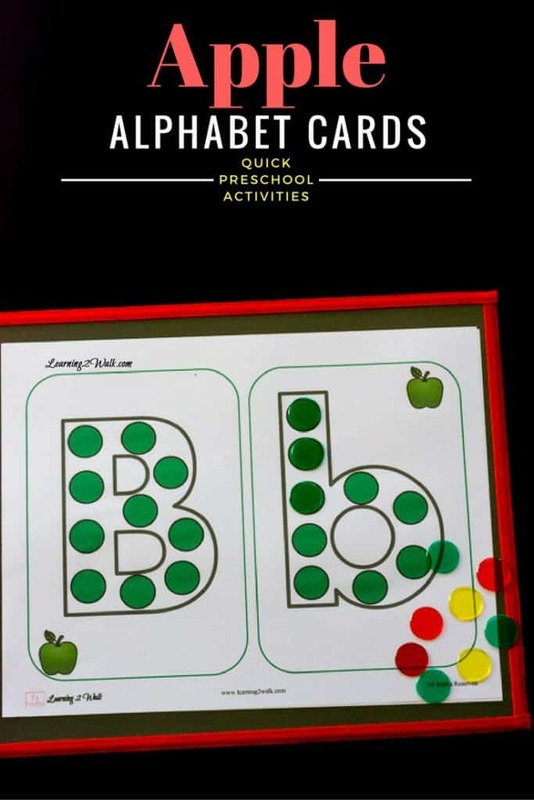 If you are looking for a few more counting ideas, try some of these Math games for Toddlers from Rainy Day Mum!